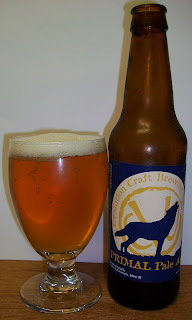 A golden, dry, slightly hoppy pale ale. Refreshing & Balanced. Notes of Pine & Citrus in the aroma, earthy middle, clean finish 28 IBU’s, 4.9 ABV. This is the only Evolution beer that I have not had. I was at State Line Liquors the other day and picked up a 6 pack. I have liked all of the other Evolution beers so I’m really looking forward to trying this one. 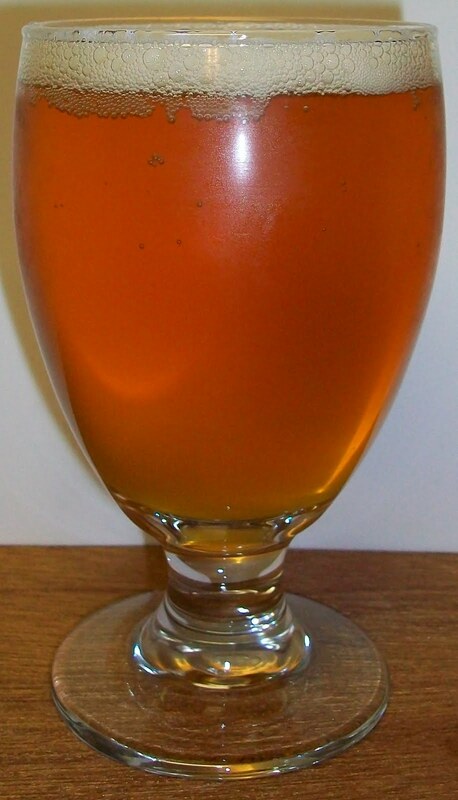 The beer pours a clear pale copper with yellow hues and a white head. The nose is nice with delicate pale malts floral hops and light citrus notes. Wow, something took me by surprise on that first sip. There seems to be an interesting complexity or at least a uniqueness to this beer. The experience starts out with a malt sweetness up front then a most interesting tingling effervescence over the tongue. You expect this to build to a hop bitterness but it doesn’t, it diminished by the time you get to the top of the swallow. There is an interesting robustness during the swallow along with a carbonation release. This is also unusual since most carbonation releases mask flavors not enhance them. The finish in mostly malt sweetness which is also confusing since there whole experience has be building up to what you would expect as a bitter hoppy ending. All and all I really like this beer. I realize that it doesn’t sound that way from the above description. There is very interesting earthiness to this beer. It’s almost like an Alt beer. I’m going for a B to B+ for this one. It’s not the most refreshing American Pale Ale but it has a very unique quality to it. That robust earthiness in this ale that really makes unique and appealing.